Following the release of The Legend of Zelda Breath of the Wild, Nintendo started working on new projects related to the series. These projects have yet to be revealed, but it seems like the port of one of the entries in the series released on Wii is among them. According to reports circulating online, Eiji Aonuma teased that The Legend of Zelda Skyward Sword will be coming to Nintendo Switch during a The Legend of Zelda concert in Japan last week. As an official announcement has yet to be made, we have to take this with a grain of salt. Considering how The Legend of Zelda Ocarina of Time and The Legend of Zelda Majora’s Mask have received updated ports on 3DS, it isn’t all that unlikely that something similar will happen with The Legend of Zelda Skyward Sword. 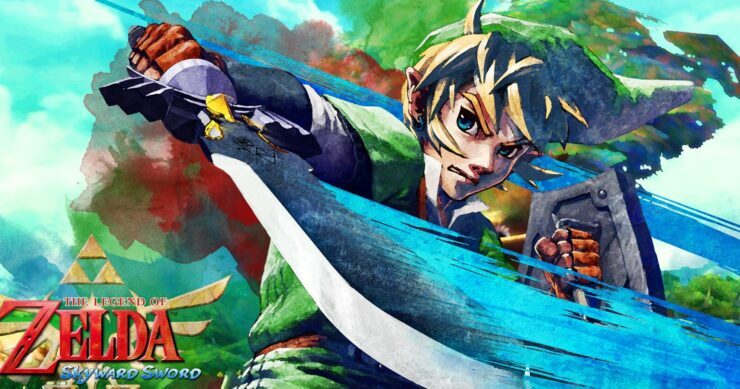 The Legend of Zelda Skyward Sword is the last entry in the series to get released on Wii. The game is one of the few Wii titles that takes full advantage of the Wiimote Motion Plus. Experience some of the most realistic sword combat of any game to date, turning every encounter into a challenge of both brains and brawn. Analyze enemy attacks and defenses and counteract with precise sword swings in a dynamic new combat system that combines fighting and puzzle-solving. Explore a massive, multilayered world that seamlessly blends soaring exploration some of the largest and most challenging dungeons in the history of the series. Ride your Loft Bird across the skies, exploring floating islands, taking on quests and searching for treasure. Find rare materials that upgrade weapons, items, and shields.